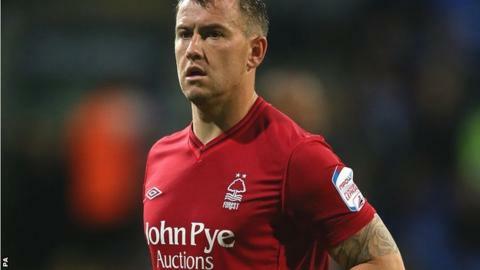 Nottingham Forest striker Simon Cox is only expected to be out for around a week after a scan revealed his foot injury is not as serious as feared. The 25-year-old summer signing was hurt during the Republic of Ireland's 4-1 win over Oman on Tuesday and there were concerns he had broken it. But a scan on Wednesday has showed he has suffered slight ligament damage. Meanwhile Sheffield United academy director John Pemberton could be on his way back to Forest in a coaching role. The 47-year-old is understood to be unsettled at Bramall Lane. Blades manager Danny Wilson has said it is an internal matter that will be dealt with this week. Pemberton has previously worked as a coach at the City Ground and has been heavily linked with Forest.